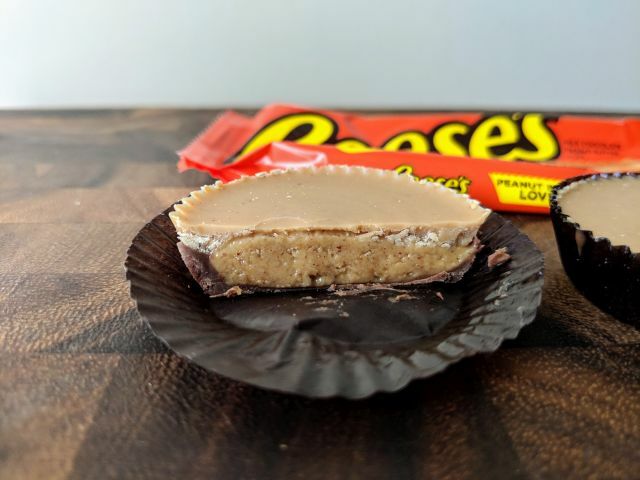 Reese's Peanut Butter Lovers Cups feature milk chocolate peanut butter cups with more peanut butter inside and a peanut butter sweet creme top shell. It costs $1.11 for a 1.5-oz pack and they're not slated to arrive in stores until mid-April. I got an early sample courtesy of Reese's though. 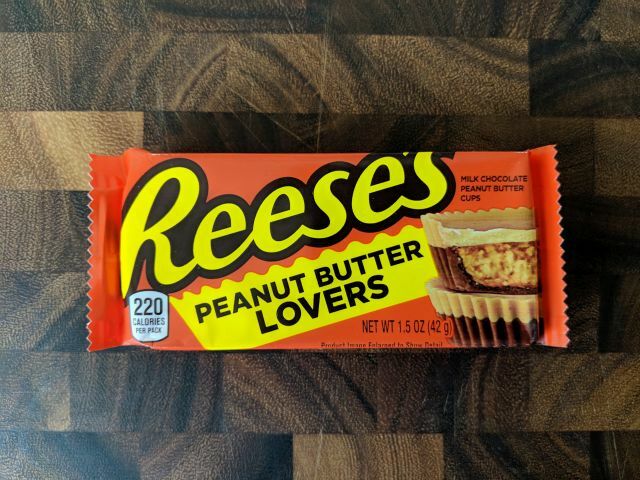 Peanuts are the number one ingredient in these and it is definitely apparent when you bite into them as these are the most peanut buttery Reese's I've ever eaten. I could barely even taste the chocolate. With the milk chocolate barely holding on, what I tasted instead was a combination of smooth salty peanut butter with smooth and creamy peanut butter candy. As someone who sometimes just eats peanut butter off of a spoon, Reese's Peanut Butter Lovers Cups were great eats for me. The combination of two peanut butter components with a spare smattering of chocolate are more like "peanut butter cups with milk chocolate" rather than "milk chocolate peanut butter cups" though. They're definitely for peanut butter lovers alright.